A new, exciting, subversive, dangerous purple haze of music and music-based culture was enveloping Berkeley and San Francisco. The earliest warning signals came to me from Laura Allan, a beautiful and mysterious former surfer girl who was now onto something truly exotic and thrilling. She reported to an enthralled group of fellow Berkeley High students in early 1966 about the Trips Festival taking place at Longshoreman’s Hall in San Francisco on January 21st through 23rd. Laura said that the event was an “acid test, “where the audience could drop LSD provided by the great Owsley himself. Writer Ken Kesey was there with his Merry Pranksters, offering a running commentary over the sound system. Peter Albin told me, “The Trips Festival was the first gig that people found out about Big Brother and the Holding Company. Outside of 1090 Page St. and the local theater, San Francisco rock band performances weren’t standardized. It was our first venue in a large hall. One of the Trips Festival organizers, Alexandra Jacopetti Hart, told me, “When we started doing things in ‘64 we were at the birth of the phenomenon. My husband Roland and I thought that theater stuff would be the draw and was as important as everything else. We hired the Longshoreman’s Hall. We were all accustomed to small crowds, but we thought we’d see what we could do. What we were going to do was the performance piece, ‘Revelations.’ We thought it would be the pinnacle of the evening. “Meanwhile, people were lining up to get tickets. Kesey set up a little acid-laced Kood Aid stand. We had a big crowd of people, none of who had been high in front of a big crowd of people. A number of people who didn’t know they were on acid, increased the climate, shall we say? The Fillmore was always packed when we played. . . .From the stage, the scene looked like wall-to-wall joy. Shortly after the Trips Festival, Bill Graham sensed a lucrative opportunity and rented the Fillmore Auditorium for February 4th through the 6th. He announced the event, “The Jefferson Airplane with the Sights and Sounds of the Trips Festival.” After that succeeded, he began to hold regular shows at the Fillmore, and featured shows with especially popular bands at Winterland Auditorium, a bigger venue. Each show usually played Thursday through Sunday. Try-outs for local bands were held on Tuesday nights, and you could attend them and hear three bands for $1.00 or $1.50. The Fillmore Auditorium, an old venue that at one time had hosted jazz and rhythm and blues groups for predominantly black audiences, was on the second floor of an old brick building at the corner of Fillmore and Geary Streets. You reached it by climbing up a long stairway. At the top was always a barrel of apples that said “Take one.” Walking inside was like entering a psychedelic fairy land. It would be fairly dark, lit with black lights at the back, lights shows projected behind the stage, strobe lights and a mirror ball. One wall featured a long bar. A balcony stood above the back of the hall, curving around the sides a bit. There was day-goo paint for people to daub on themselves and make designs on the floor. Winterland provided less of a sensory overload, but it could pack in many more people. It had a main floor with a large stage in front, a dance area where people tended to sit on the floor rather than dance and some theater seats in the back. You also could sit in the balcony, where there were rows of seats. You could get to both venues easily by bus — a boon before I had a driver’s license. The only problem was that I had to leave before the shows ended because the buses to Berkeley stopped running at midnight. I once went with a neighbor boy to the Fillmore. We missed the last bus to Berkeley. In our fifteen year-old brains it made sense not to call our parents and wake them up. We slept on a bench at the bus terminal until the first bus to Berkeley arrived. When I got home around 7:00 AM the following morning, I was greeted by a frantic mother who had waited up all night for me to return. Bill Graham was a shrewd businessman, which clashed with some people’s philosophy that music should be free. Sometimes he was booed by audiences that thought he was a rip-off capitalist pig, clueless about the expenses involved in putting on such shows. However, Graham generously hosted many benefits, and was also quietly philanthropic. “The first concert I worked on with Bill was when the Farm Worker’s Union approached him and said we wanted to build a health clinic in the Central Valley. He said ‘great!’ Bill organized everything. with Santana before they were had a record, Martin Fierro’s band The Shades of Joy. Tongue and Groove and Michael Bloomfield’s band. “If you couldn’t get the bands he would pull bands in. One week he had brought in Crosby, Stills, Nash and Young. Then the wife of one of the band members overdosed and died. The band told Bill, ‘The show is cancelled.’ They had four sold-out nights at Winterland. I said, ‘What are you going to do Bill?’ He said, ‘Get someone else.’ He was so well respected that on two days’ notice he pulled together a bunch of bands to do four days of shows. Chet Helms was much more laid-back and less of a businessman than Bill Graham. Early on, he felt that Bill had betrayed and cheated him out of booking The Paul Butterfield Blues Band. So he quit using the Fillmore and set up in the Avalon Ballroom. Peter Albin told me, “The Avalon didn’t last a long time, but I’m amazed by Chet’s adaptability that he was able to do that even though he was struggling. Graham was quite an industrious guy He’d get up early. That was his big deal. He’d hear about what Chet was going for, and he could wake up at six o’clock while Chet was just getting up at nine and phone the band. Because it was nine o’clock back east, he’d book the people and he’d put it in their contract that they couldn’t play elsewhere. I don’t think Chet insisted on that. A group could play somewhere in the Bay Area one night and San Francisco the next night. But I don’t think that it really affected his attendance at the Avalon. “The Avalon was a great place with a spring dance floor, and drapery on the walls and the ceiling that helped the sound. We didn’t play at the Fillmore until way, way later because of the conflict between Graham and Chet Helms. At times when the whole ballroom scene was attacked by outside forces, legal forces in some cases, Graham and Helms got together and agreed upon things. One time the light show people tried to unionize. Graham was really against it. Chet was waffling, but he didn’t want to be held hostage by these people either. But at the same time he knew that they were artists and needed to have a say. Chet Helms was a rebel since his Texas beginnings. Powell St. John told me, “I first met Chet Helms when he was seventeen. He was a tall, gangly kid from Fort Worth. He was strange even then. His family were missionaries — deeply religious people. Chet was an oddball. His parents rejected him. By 1962 Chet had hair over his shoulders, unusual in those days. Doug Green, a later business partner of Chet Helms, told me, “Chet Helms was very quiet and soft-spoken. Very well read, intellectual. In the kindness in his heart he wanted people to come together and have a consciousness expanding experience. Bill Graham was the warrior and the successful one. His insecurities did not allow him to allow competition, so he eradicated the competition. Graham made it difficult for Chet and Family Dog to continue his shows. Chet was very soft. I can’t sugar coat him; he had his insecurities, and sometimes he would lash out from that. I had empathy for him from those times. If Chet had a flaw, his insecurities would cause him to lash out at someone or be insecure that someone was going to take over what he was trying to do like Bill had done. That stayed with him the rest of his life. That overshadowed His phenomenal accomplishment of bringing people together. The ballrooms gave great value. An evening’s entertainment usually featured three different bands playing two sets each. Tickets cost first $2.50 and later $3.50. I saw an ad for the Fillmore in the City of San Francisco Oracle announcing that children could come in for free. Children — at a show that started at 9:00 PM?! If at least one reasonably good group was on the bill—and there were often two major bands—the ballrooms would be packed to the rafters. 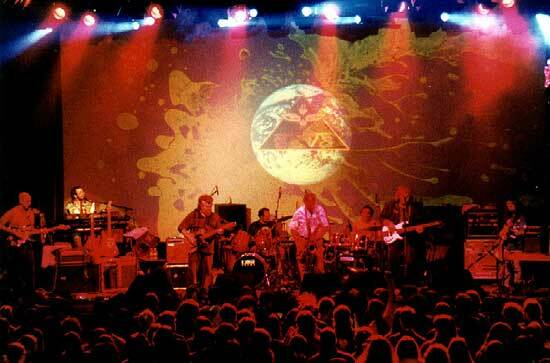 At the Fillmore, admission initially included a free psychedelic poster for next week’s concert. As you exited the hall you always received that apple, Graham’s trademark lagniappe. David Mandel told me about going to the Avalon, “There was a big show at the Fillmore and I got there really late. It was me and a bunch of greasers standing outside the door and a big, burly guy said, ‘Sorry, we’re full, you can’t get in. Y’know what, there’s a new place.’ So we went to the Avalon and The Mothers of Invention were playing. It was the first time they’d ever played in the Bay Area. “Zappa came out on stage wearing a a pink tutu with a gauze top and tennis shoes. And of course he had that wild hair. They all were all pretty wild looking. They had the longest hair of anyone in those days. The audience was mainly young, single guys. When Cream came to play at Winterland they were a sensation. Underground newspapers and radio stations talked about them endlessly and with great excitement. I watched their musical assault standing at the back of the Winterland balcony, the only place my boyfriend and I could find to park ourselves. We were stunned by their performance. As it turned out, much of that night was recorded for their album, Wheels of Fire, so we could listen to it again and again. Cream had an enormous influence on the local bands, and the free-form, improvisatory way of playing of the local bands influenced them. According to Disraeli Gears: Cream, Bill Graham encouraged Cream to do long improvisations. “Go ahead and play and do it your way,” he told them. “If you want to play ‘Spoonful’ from night until dawn, do it.” Eric Clapton, in turn, was impressed by the free concerts bands gave in Golden Gate Park. Although they loom so large in legend and memory, the Fillmore and the Avalon lasted only until 1968. Graham decided to move operations out of the Fillmore following the riots in the Fillmore district after Martin Luther King’s assassination. He felt that he could no longer keep the white kids who attended his shows safe. However, the night after he closed the Fillmore, Graham took over the Carousel Ballroom. He re-named it Fillmore West, and held concerts there until 1971. When the Avalon’s lease was up for renewal in 1968 its the dance permit was revoked. People flocked to support Chet Helms in appealing the decision. Bill Graham and Mayor Alioto spoke out for him. The Beatles sent him a cable and a print of their new film, Magical Mystery Tour, to use for a fund raiser. Helms appealed the decision three times, and was turned down each time. He was forced to close the ballroom. Helms went on to rent a venue at the old amusement park, Playland-at-the-Beach on the Great Highway, across from Ocean Beach. However, out of the way and virtually impossible to reach by public transportation, and it failed. Fillmore West closed in 1971. Winterland closed on New Years’ Eve, 1978-79. The building was demolished in 1985 to make way for apartments. While the ballrooms lasted, they were pure magic.